Students are held individually responsible for information contained in these pages. Failure to read and understand these regulations will not excuse a student from their observance. All regulations and rules or procedures contained in this official University Bulletin apply to undergraduate and graduate programs. Questions in individual cases should be presented through written petition to the appropriate dean. A student is held responsible for academic regulations in effect at the time of entrance, provided the student maintains continuous enrollment. Similarly, a student who changes programs or majors after being admitted to the University is held responsible for the academic regulations in effect at the time the program or major is changed. A student who interrupts academic enrollment is subject to the academic regulations in effect in the University Bulletin at the time enrollment is resumed. For non-academic matters, all students are governed by the Loyola Marymount University Student Conduct Code found in the Community Standards booklet. The booklet can be found on MyLMU (http://my.lmu.edu). Students are assigned a faculty academic advisor within their major or college. LMU offers an advising model based on a close student/faculty advisor relationship. This relationship offers assistance to students in achieving educational, career, and personal goals through the use of the full range of institutional resources. In order to make the best of advising appointments, students are encouraged to become familiar with the degree requirements, coursework within the major, and other information about academic policies. LMU students must be pro-active in understanding the academic requirements, policies, and procedures which affect their studies and path to graduation. Students are further encouraged to come with well-developed questions for the advisor. As part of the registration process, students meet with their advisors, who may conduct degree audits to assess progress toward completing degree requirements. Exceptions to University policy and changes to established degree coursework must be approved as exceptions by the Chairperson of the Department or Director of the Program and documented on a Petition for CAPP Adjustment (change to the student’s degree audit). This form must then be signed by the student’s Associate Dean’s Office and submitted to the Office of the Registrar. The University offers two fifteen-week semesters plus a week of final examinations for each semester and two six-week summer sessions that include final examinations. An academic program is a combination of courses and related activities organized for the achievement of specific learning outcomes as defined by the University. This includes programming at the undergraduate and graduate levels and consists of degrees, majors, minors, concentrations, and certificates. An academic major indicates a particular curriculum which leads to a degree. Students must complete the requirements for a primary academic major, including the University Core Curriculum and college or school requirements, to be eligible for a degree. Requirements for academic majors can be found under the departmental listings in the chapters for each respective college or school. Some academic majors have concentrations which are a sub-set of a discipline, organized in clusters, of focused courses taken within a major. Students normally declare a major at the time of application to the University. If a student is unsure about choosing a major, some colleges may allow for an undeclared status within that College. This option is at the discretion of the College or School. Under normal conditions, an undergraduate student has decided on a particular major prior to earning 60 semester hours of credit. Students may declare a second academic major in addition to their primary major by obtaining the approval of the department chair of the major and the Associate Dean in that college. Students in the College of Business Administration may not choose a second academic major within the college. A second academic major may be earned only while the student is concurrently completing the requirements for the baccalaureate degree in the primary academic major. A student must successfully complete all requirements for the second academic major prior to, or in the same term as, the primary major. A second major may not be granted after a degree has been posted. If a student decides to drop a second academic major, the student must submit a Change of Program to the Office of the Registrar. Undergraduate students may declare an academic minor from among the LMU departmental minors. Students who wish to declare an academic minor must obtain the approval of the department chair or program director of the minor and submit a Change of Program to the Office of the Registrar. Some minors may require an application process and are limited based on space available; some may also require the signature of the Associate Dean of the College or School. To earn an academic minor, a student must complete all requirements of the minor as prescribed either before or at the time of the awarding of the degree in the primary major. Minors may not be earned after the awarding of the primary degree. If a student decides to drop a minor, he or she must submit a Change of Program with the relevant signatures to the Office of the Registrar. At least half of the upper division semester hours of the minor program must be completed in residence at LMU. A student who declares a minor is held responsible for the academic regulations specified in the Bulletin and in effect at the time the minor is declared. Each department offering a minor program lists specific semester hour requirements. A student must have a minimum cumulative grade point average of C (2.0) for courses taken in the minor program. Courses may not count as fulfilling both a major and minor program, unless both programs require the specific course. Undergraduate disqualification is based upon two consecutive semesters (Fall or Spring) in which work of less than a grade of C (2.0) average is earned or in which the student fails to meet conditions imposed by the Dean or other academic entity. Summer sessions are not used to calculate if an undergraduate is subject to disqualification. Executive MBA Program: a student who receives a failing grade in any of the prescribed courses will be subject to immediate dismissal. Disqualification terminates a student’s relationship with the University for a minimum of one year. A disqualified student may not register in any division or session of the University and is denied all privileges of the University and of all organizations or activities in any way connected with it. Undergraduate students who wish to appeal a disqualification must submit a written request to the Dean of the College. The decision of the Dean is final. Graduate students who wish to appeal a disqualification must submit a written request to the Chair, Program Director, or Dean of the student’s college or school. If the appeal process cannot be resolved, an impartial three-person faculty panel will be assigned by the Chair of the Graduate Council to review the request. The panel will individually interview the faculty person and the student. After the interviews, review, and discussion, the panel will submit a formal decision to the Chair of the Graduate Council, whose decision will be final. Graduate students in the School of Education should appeal directly to the Program Coordinator. If the appeal cannot be resolved, the issue will then be submitted to the Associate Dean, and if necessary, the Dean. Disqualified undergraduate and graduate students are not eligible for readmission to the University until one calendar year has elapsed since the disqualification. Undergraduate and graduate students who wish to return to LMU after disqualification must make an appointment with their Dean. The Dean will determine if a student is eligible to return and either grant or deny permission to seek readmission to the University. If allowed to attend LMU after a disqualification, the student must submit an application for admission through the appropriate Admission Office. A disqualified student who is readmitted will be on strict probation, which requires that the student must satisfactorily complete all requirements set by the Dean in the initial semester after readmission. A student who has been disqualified a second time may not apply for readmission. Academic probation constitutes a serious warning to students that their academic performance is unsatisfactory and continued failure to improve this record may result in being disqualified from the University. Additionally, a student who does not make satisfactory progress in the course of study is subject to probation. Academic probation does not prohibit the student from returning as an enrolled student for the subsequent semester, nor does it necessarily prohibit the student from participating in University-sanctioned events. However, the Dean or Director may impose restrictions on students on probation regarding the program of study and their participation in extracurricular activities at LMU. Class attendance expectations and consequences for absences from class are left to the discretion of individual instructors and shall be announced by the faculty member at the first class meeting or listed on the class syllabus. Students are accountable for all course assignments, whether or not the assignments were announced during an absence. In order for a student to earn academic credit for a course, he/she must be enrolled officially in the course. Students who are not registered in a class are not allowed to attend a course, submit coursework, or take an exam including the final exam. Entering freshmen and transfer students are admitted to the University in their academic major of choice at application. A change of academic major or emphasis/concentration in the major within the same school or college may be limited by the availability of space within the requested major and requires the approval of the department chair and the Associate Dean of the College or School. A student must also be signed out of the current major by obtaining the approval of the department chair of the current major as well as the Associate Dean of the College or School. If a student decides to change an academic minor, he/she must submit a Change of Program to the Office of the Registrar. Changes in majors, which involve the changing of a School or College, may be limited by the availability of space within the school and/or the specific academic major. Students wishing to change colleges or schools must meet the respective admittance criteria and complete the application process specified by that College or School. The decision of the Associate Dean of the College or School is considered final. Upon acceptance into the new major, emphasis, or minor, the student must submit a completed Change of Program to the Office of the Registrar. Graduate students are admitted to a specific program consisting of a degree and major within a College or School. Graduate students who wish to change a degree program must apply for the new program through Graduate Admissions. A student who wishes to change from one emphasis/concentration to another within a program before completing a degree must request approval from the Program Director. Students must submit a completed Change of Program to the Office of the Registrar. Students may change their permanent, mailing, and billing addresses through PROWL. Students must update their emergency contact information through PROWL. International students are required to notify the Office of international Students and Scholars if wishing to change their permanent address. The University assumes no responsibility for materials sent through the mail or email not received. The University grants degrees three times per year: at the end of the Summer (August 31), Fall (December 31), and Spring (May) terms. LMU celebrates its Commencement Ceremonies only at the end of the Spring semester. LMU honors at the Commencement Ceremonies its newest graduates with a celebration of achievement for family and friends. Participation is granted to those students who will be receiving their degrees in one of five terms: the previous Summer and Fall as well as Spring, Summer, and Fall of the Commencement year. Participation in the honorary ceremony does not mean that a degree has been awarded. The classification of undergraduate students is determined by the number of semester hours completed at LMU with passing grades and, if applicable, accepted transfer work. Concurrent term enrollment by LMU degree-seeking undergraduate students at another institution for the purpose of transferring credits is not permitted. This section contains a list of symbols for all courses offered at the University. 000-099: Courses offered in this number range do not carry degree-granting credit. 500-599: Upper division undergraduate courses in which graduate students may enroll and receive graduate credit. Undergraduate students may not enroll in 500-level courses offered by the School of Education. Only students accepted into the Graduate Division may register for these courses. 800-999: LMU Extension courses. Courses offered in this number range do not carry LMU degree-granting credit. After the registration period and space permitting, enrolled students may be permitted to register as auditors only for exceptional reasons and with the authorization of the Dean of the college or school of the course. Not all courses are open to auditors. Auditors are not held responsible for the work expected of regular students and receive no grade or credit for the course. Regular attendance at class is expected. A student who has previously enrolled as an auditor may not take the course for credit in the subsequent term except by special permission of the Dean of the college or school in which the course is offered. Individuals may not be formally admitted to the University to audit courses only. Enrolled LMU students may not enroll as auditors in a regularly scheduled LMU course through LMU Extension. A student may request credit by examination for selected courses provided that the student meets all eligibility requirements of the course. It is the responsibility of the student to arrange for a credit by examination, including a faculty member willing to administer the challenge, as then approved by the course Chairperson and student’s Dean. A course may be challenged only once. To challenge an undergraduate course by examination, a student must be regularly enrolled and a full-time student. Students may not challenge a course that is at a level more elementary than one in which they are currently enrolled or for which they have already received credit. Students may not challenge a course for which they have previously registered until a period of one year has elapsed from the time of their original registration in the course. A challenge examination once failed may not be repeated. 1000- and 2000-level courses in the Department of Modern Languages and Literatures may not be challenged. If the student passes the challenge exam, that is equivalent to waiving the course requirement but not the total unit requirement for the degree. MBA students may challenge MBA core courses only during the first semester of enrollment. In a Fall or Spring semester, the normal load for full-time, degree-seeking undergraduate students in good standing from the previous semester is 15-18 semester hours. For summer, undergraduate students in good standing may register for up to eight semester hours per session; six semester hours is considered full-time for summer. Core courses are identified as fulfilling the University Core requirements. Major courses are identified as fulfilling the academic major requirements. Minor courses are identified as fulfilling the academic minor requirements. Elective courses are identified as not fulfilling core, major, or minor requirements, but do fulfill overall semester hours requirements. A cross-listed course is one that carries credit in more than one department or program. Students may not enroll in more than one section of a cross-listed course and may receive credit in one department only. Courses whose numbers have as the last two digits “98” are Special Studies. These courses have a special syllabus and description not listed in the Bulletin. They can be held in a lecture, discussion, or seminar format at a specified or arranged time and place for a group of students. Each department sponsoring Special Studies courses maintains these course descriptions. Courses whose numbers have as the last two digits “99” are Independent Studies. This is an individualized study arranged by a student with a full-time faculty member and approved by the Chairperson of the Department and the Dean. 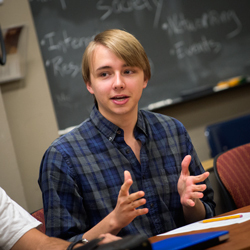 An Independent Studies course is considered part of the student’s semester program. Registration for such courses takes place only during the regular registration periods. These courses are for the educational enrichment of the student particularly qualified for the kind of experiences that are beyond the scope of a regular course. Under the supervision of a faculty member, the work will be of research or similarly creative nature and will normally culminate in a project or examination. Freshmen, first-semester transfer students, and part-time undergraduates are not eligible. Most graduate programs will allow graduate students to take no more than two classes as independent study. Consult the individual Program Director for future information and limitations. A course tutorial is an option to register for an LMU course which is not otherwise offered in the term. Students may individually arrange with a faculty member to take the course as a tutorial. The tutorial must be based on an existing LMU course and all arrangements for the tutorial are the responsibility of the student. A tutorial course is considered part of a student’s semester program. Registration for it takes place during the regular registration periods. Only full-time students are eligible, and approval will be given for only one tutorial course per semester. Freshmen and first-semester transfer students are not eligible. Approval of the Department Chair and Dean’s Office is required. Candidates for an undergraduate degree at Loyola Marymount University must complete all requirements for a bachelor’s degree as set forth by the University, their college or school, and academic departments or programs. Failure to understand those requirements does not relieve a student of his or her responsibility. For the primary academic major complete a minimum of 120 semester hours, including core curriculum, program requirements, and 45 semester hours of upper-division course work. Certain programs require more than 120 semester hours and are under the appropriate department listings. All courses taken at LMU must have a cumulative grade point average of C (2.0). All courses taken in the major, minor, or area of concentration must have a cumulative grade point average of C (2.0). To satisfy a Core requirement (other than a flag requirement), a course must be completed with a grade of C- or better. To satisfy a flag requirement, a course must be completed with a grade of D or better. Fulfill the requirements for any declared academic secondary major or primary or secondary minor, including those set forth by the department and/or College or School. At least 30 of the last 36 semester hours for the bachelor’s degree must be taken in residence at LMU. At least two-thirds of the upper division semester hours of the major must be taken in residence at LMU, unless, for programmatic purposes, the Dean and the Chair of the major department deem an exception appropriate. Fulfill the academic regulations printed in the University Bulletin in effect at the time of entrance or for those in effect in the senior year provided the student maintains continuous enrollment for the length of the degree program. A student who changes his or her program of study subsequent to admission to the University may be held responsible for the academic regulations in effect at the time of the declaration or change. A student who interrupts LMU enrollment for more than two years is subject to the academic regulations in effect in the University Bulletin at the time of readmission. Fulfill the requirements specified in Baccalaureate Graduation Requirements and Degree Conferral. Submitting an Application for Degree form to the Office of the Registrar by the stated deadline in the term in which all academic and graduation requirements will have been met. If a student is canceled for graduation in a given term, the student must submit a new Application for Degree form for a subsequent graduation term. The completion of all incomplete work required for the degree prior to the degree date of that term. A grade of Incomplete in a required course at the time of degree posting renders the student ineligible for that degree date. Students who have taken coursework at other institutions must submit an official transcript showing the graded course(s) and transfer course approval form (if not previously submitted) to the Office of the Registrar no later than 30 working days after the end of the LMU semester. The transfer course(s) must be completed in a term which ends prior to the degree date. The pursuit of a second baccalaureate degree is not allowed unless a student already possesses an earned bachelor’s degree prior to commencing the second bachelor’s program. An LMU student may not be enrolled in a primary degree program and concurrently begin a second bachelor’s program. The major program of the second bachelor’s degree must be different from the first major. Already possess an awarded bachelor’s degree from an accredited institution. Complete a minimum of 30 semester hours at LMU beyond those required for the first degree; these must include at least 24 semester hours of upper division work and at least 20 semester hours of upper division work in the major field of study. Fulfill the core requirements of the College or School in which the major is offered. Satisfy all the requirements for the major. Fulfill the requirements specified in the Baccalaureate Graduation Requirements and Degree Conferral. For a master’s degree, complete a minimum of 30 graduate semester hours (500, 600, 5000, and 6000 level) beyond an earned baccalaureate degree. A minimum B (3.0) cumulative grade point average is necessary to qualify for completion of a program. See individual program descriptions for specific and additional graduation requirements. For a doctoral degree in Education, complete a minimum of 52 graduate semester hours (7000-level courses) beyond an earned master’s degree. A minimum B (3.0) cumulative grade point average is necessary to qualify for completion of a program. See individual program descriptions for specific and additional graduation requirements. The normal time allowed for the completion of graduate degree programs is five years. A student who has not completed the degree within five years must request an extension of time. If the extension is granted by the Dean of the student’s college or school, the student may be required to undertake additional coursework. Some departments have a shorter limit for the completion of the program; see individual program descriptions for further information. Fulfill the requirements specified in Graduate Graduation Requirements and Degree Conferral. Submitting a completed Application for Degree to the Office of the Registrar by the stated deadline in the term in which all graduation requirements will have been met. If a student is canceled for graduation in a given term, the student must submit a new Application for Degree for the appropriate graduation term. The completion of all incomplete work required for the degree prior to the degree date of that term. A grade of Incomplete in a required course at the time of graduation renders the student ineligible for that degree date. Diplomas are granted and mailed to students who have completed all academic degree requirements and who have no outstanding financial obligations to the University. 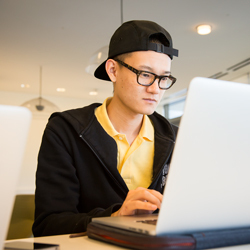 A student may not count a course as fulfilling both a major and minor program, unless both programs require the specific course. 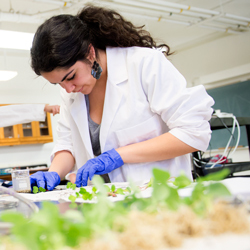 A student may not count the same course to meet the requirements for both an undergraduate and graduate degree. A student who wishes to enroll for a second Master’s degree in the School of Education may apply up to three core courses towards a second Master’s degree. For other graduate programs, no more than two courses may be counted toward a second degree upon prior approval from the respective Deans’ offices. Students must be officially registered via PROWL for all classes in accordance with the regulations, procedures, and dates published in the Schedule of Classes and the University Bulletin. Registration is subject to full payment of tuition, room and board charges, and other fees associated with enrollment. The University reserves the right to deny registration to any student for reasonable cause. Students are required to take all scheduled examinations. Final examinations are to be held at the time published by the Office of the Registrar. No student is allowed to take a final examination before the scheduled time. An undergraduate student enrolled for 12 or more semester hours in a Fall or Spring semester or 6 or more semester hours in a Summer session is considered a full-time student. Students taking fewer than the stated amount above are considered part-time and may not qualify for all University activities and benefits, such as eligibility for financial aid, on-campus housing, and intercollegiate athletic competition. A graduate student enrolled for 6 or more semester hours in a Fall, Spring, or a single Summer session is considered a full-time student. Graduate students taking fewer than 6 semester hours are considered part-time. Doctoral students completing the dissertation are full-time with at least 2 semester hours per term. Please refer to the Financial Aid full-time/part-time standing for an explanation of how that department defines full-time standing and the impact on financial aid awards. Students may take courses which are offered on a Credit/No Credit basis for up to 20% of their total semester hours requirement for graduation. For undergraduate courses, a grade of CR may be given for performance equal to or greater than a grade of “C.” A CR/NC course will not affect the grade point average. Courses offered on a CR/NC basis will count toward fulfilling requirements of the academic major, academic minor, or University Core. Courses offered on a graded basis which a student elects to take on a CR/NC basis will NOT fulfill the above requirements. If a course is offered on a CR/NC basis only and the student wishes to receive a standard grade, the student must petition the instructor for that standard grade before the end of the third week of the semester. After submitting an approved form to the Office of the Registrar requesting CR/NC grading for a course, the student may not rescind the request. Graduates may take courses on a CR/NC basis only with the permission of the Program Director and/or Dean of the College or School. It is understood that, except in rare instances, only the Instructor may change the final grade using the Correction of Grade form through the Office of the Registrar and then only with the approval of Department Chairperson’s, Program Director’s, or equivalent (hereafter called Department Chairperson), and the approval of the Dean of the Instructor’s college or school. The Dean may, however, change the grade if all of the following processes of appeal have been followed. The Dean must notify the Instructor, in writing, of the change in final grade. No later than three weeks into the semester following the issuance of a disputed grade, the student must meet face-to-face with the Instructor to review the reasons for the grade. No later than the following week, if the Instructor is not available for discussion or if discussion fails to resolve the problem, the student may ask the appropriate Department Chairperson (see above) to meet with both the Instructor and the student within five class days. If the Chairperson and the Instructor are in agreement about the validity of the grade, the student may appeal to the appropriate Dean. If the Chairperson cannot agree with the Instructor, the Chairperson will refer the student to file a written appeal to the Dean. The student who appeals beyond the department level must file a written appeal to the appropriate Dean within five class days of the meeting with the Instructor and Chairperson, and no later than the end of the sixth week of classes. The Dean, upon receipt of the written appeal, will work with all parties in an attempt to resolve the matter by mutual agreement. If agreement cannot be reached, the Dean may appoint a committee of three impartial persons to investigate the matter and make a recommendation to the Dean. The Dean will normally follow the recommendation of the committee; however, the decision of the Dean is final. 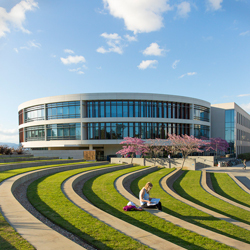 The work of all students at LMU is reported in terms of grades. Instructors are required to assign a final grade for each student registered in a course. The Office of the Registrar via PROWL issues a grade report to the student at the end of each term. A grade of A may be modified by a minus (-) suffix, and grades B and C may be modified by a plus (+) or minus (-) suffix. Grades A, B, C, and CR denote satisfactory progress toward the degree, but a C- or D grade must be offset by higher grades in the same term for students to remain in good academic standing. An F or NC grade yields no semester hour or course credit. Note that a “C-” grade is not a passing grade in courses requiring a minimum grade of “C.” A student must maintain a 2.0 GPA in order to remain in good academic standing. A grade of A may be modified by a minus (-) suffix, and grades B and C may be modified by a plus (+) or minus (-) suffix. Grades A, B, and CR denote satisfactory progress toward the degree, but a B- grade must be offset by higher grades in the same term for students to remain in good academic standing. Courses in which a grade of B- through C- is received may be applied toward graduate degrees unless otherwise prohibited by the program requirements. A student must maintain a 3.0 GPA in order to remain in good academic standing. Graduates may only take courses on a CR/NC basis with approval from the Dean. Grades, once submitted to the Office of the Registrar, will be changed only in case of error. An instructor desiring a change of grade must present a written explanation to the Chairperson and the Dean with a Correction of Grade form from the Office of the Registrar. No grade changes will be made after the fourth week of instruction of the next full term. A student’s permanent record reflects the coursework upon which the University awarded the degree or recommended a credential. Therefore, no grade or other changes are permitted either after awarding the degree or recommending the credential. An incomplete grade may be assigned by the professor only if a student has completed at least 80% of the coursework. The student must speak to the professor prior to final exam week to determine if the completed course work meets the minimum requirement for a grade of Incomplete and to discuss what further work is required to complete the course. The professor may or may not agree to the assignment of a grade of Incomplete. If the professor agrees to assign the grade of Incomplete, s/he will enter a grade of “I” on the Final Grade Roster. The student’s deadline for submitting all outstanding coursework for undergraduate level courses is three weeks after the first scheduled class day of the next full semester. Graduate students who received a grade of Incomplete in graduate level courses have one academic year to complete and submit all outstanding coursework, unless an earlier deadline is set by the professor. An incomplete grade not removed by the deadline will default to an “F” or to the default grade as submitted by the instructor on the Final Grade Roster. If a student requires an extension to the deadline, the student must petition to obtain an extension to the deadline for removal of the grade of Incomplete. The petition, approved by the instructor, must be submitted to the Office of the Registrar. Graduate students carrying any grades of Incomplete are not permitted to take a comprehensive examination until all “I” grades have been removed. Graduate students enrolled in undergraduate level courses and who have received a grade of Incomplete in the undergraduate level course must submit outstanding coursework no later than three weeks after the first scheduled class day of the next full semester. Mid-term deficiencies are assigned to students whose work thus far in the semester has been evaluated by the instructor as unsatisfactory. Notifications are sent to undergraduate students who are performing at the level of C- (1.7) or less; to graduates who are performing at the level of B- (2.7) or less. These notices, advisory in nature and sent to the student’s LMU email and posted to PROWL prior to the last day to withdraw in a term, are not used in any calculation and do not appear on either the CAPP report or the University transcript. Students who receive a mid-term deficiency are advised to speak to the instructor and/or their advisor. The completion or graduation rate by August 2016 for undergraduate students who entered Loyola Marymount University in Fall 2010 on a full-time basis was 83.2%. A Leave of Absence (LOA) may be granted to a student who applies for a temporary break from studies for up to two years or four semesters. A student on a processed LOA retains their admitted status; however, they do not have the rights and privileges of registered students as they are currently not attending classes. A student on a LOA may complete course work for which the grade of Incomplete was submitted in the prior term and must comply with the policies, including all deadlines, concerning a grade of Incomplete. A Withdrawal (WD) from the University is the permanent termination of the academic program, course of study, and the rights and privileges offered to currently registered students. A student who wishes to return to the University must reapply to the appropriate Admissions Office. A student who withdraws is responsible for outstanding financial obligations with the University. A student who used deferred payment plans to secure student loans during their attendance at the University must clear their financial obligations with the Financial Aid and Student Financial Services Offices. A student who has unpaid bills or other unsettled financial obligations with the University and is not current with payments will not receive academic transcripts. For a LOA or WD in a semester which has not yet begun or before the end of the first week of the term, the student must drop all courses via PROWL. Under these circumstances, no courses will appear on the student’s transcript. The student must then fill out the LOA/Withdrawal form available on the Office of the Registrar website. For a LOA or WD in a semester for which final grades have been posted and for a student who has registered for a subsequent semester, see #1 above. For a student who has had no subsequent registration(s), the student must complete the LOA/Withdrawal form indicating the LOA or WD is effective at the end of the term that has just finished. The LOA/Withdrawal form is available on the Office of the Registrar website. For a LOA or WD in a semester which has already begun but it is not past the last day to withdraw as published in the Academic Calendar, the student must withdraw from all courses via PROWL prior to the deadline. Under these circumstances, each course will remain on the student’s transcript and receive a grade of W. In addition, the student must fill out the LOA/Withdrawal form available on the Office of the Registrar website. Consult with their Dean’s Office, Financial Aid, Student Financial Services, and Student Housing (for residential students). An international student must consult with the Office of International Students and Scholars to ensure that visa requirements will be satisfied. For an emergency petition, the student must make an appointment to meet with the Dean of Students (or designee). A petition for an emergency LOA could include, but is not limited to, instances such as family illness or death, natural disaster, and military deployment. Leave of Absences for emergency purposes, other than military deployment, are granted at the discretion of the Dean of Students. To process this information in a timely manner, the student should submit a Release of Information (ROI) to the Dean of Students (or designee) allowing the Dean of Students (or designee) and the Student Health Services and/or Student Psychological Services, hereafter referred to as the Appropriate Health Service, to review the documentation. The Dean of Students (or designee) may confer with the directors of the Student Health Service and/or Student Psychological Service to request a diagnostic explanation(s) and or to confirm the appropriateness of the medical or mental health information. The Dean of Student’s Office is responsible for granting and communicating in writing to the student regarding the petition for LOA or WD after the last day in the semester, as published in the Academic Calendar, and developing individualized recommendations for the student to guide them while on leave and to better prepare them to return to university life. Upon receiving a recommendation for LOA or WD, the student must complete and submit the LOA/WD form available on the Office of the Registrar website. If the petition is approved for a LOA after the last day in the semester, ALL courses will remain on the student’s transcript and receive a grade of W.
If the petition is not approved, the student may request an appeal within five business days of the written decision to the Dean of Students. The Dean of Students may request additional information from the student. The decision of the Dean of Students is final. If the petition is not approved and the student does not appeal or complete all coursework, the grade earned in the class will be recorded on the student’s transcript. A student granted a LOA or WD after the last day in the semester to withdraw, as published in the Academic Calendar, should check with their Dean’s Office, Financial Aid, Student Financial Services, and Student Housing regarding financial obligations. A Dean of Student’s hold will be placed on the student’s record once the petition is granted. The extension of University-sponsored student health insurance may be available during a leave of absence. Consult the student health insurance webpage for more information. A student must fill out the Return from LOA form available on the Office of the Registrar website. A student must contact the Chair of his or her academic department or Dean’s Office to inform the department of his or her intent to return and the expected semester of return. The student must meet with their Dean’s Office prior to registering for classes. The student must meet all financial aid deadlines for the academic year of his or her expected return and clear any financial holds. The student should check PROWL for any other holds on their account that need to be addressed, and contact the appropriate office for assistance in their removal. If the student wishes to reside on campus, the student must contact the Student Housing Office and submit all the necessary forms to apply for housing and meet all deadlines. A student with disabilities may be eligible for reasonable accommodations and/or special services in accordance with the Rehabilitation Act of 1973 and the Americans with Disability Amendments Act (ADAA) of 2008. The student is responsible for communicating his or her requests for academic accommodations to the Office of Disability Support Services. A student returning from an approved LOA after the last day in the semester to withdraw from classes must also submit a return to academic studies letter to the Dean of Students and his or her academic Dean’s office. This letter should outline how the student’s LOA was spent and must include a personal assessment for their readiness to return. The student will then meet with a representative from the Dean of Student’s Office to discuss and offer recommendations for further support. Recommendations for support will be made in writing to the student by the Dean of Student’s Office after the meeting with the student. This meeting must occur by January 1 for consideration for Spring semester return, May 1 for Summer session return, and August 1 for Fall semester return. Loyola Marymount University is a community dedicated to academic excellence. Academic honesty in scholarship and creative work stands at the center of LMU’s academic life, and is essential for true learning and creation of knowledge to take place. As a university in the Jesuit and Marymount traditions, this community expects its members to act in accordance with the highest standards of honesty and ethics at all times. Violations of academic honesty undermine the fundamental educational mission of the University and cannot be tolerated. Students are responsible for understanding the standards of academic honesty and determining how they apply to their academic work and behavior. Students are responsible for contacting their instructor(s) before assignments are due to proactively resolve any questions they may have. Academic honesty requires that all members of the LMU community act with integrity, respect their own intellectual and creative work as well as that of others, acknowledge sources consistently and completely, act honestly during exams and on assignments, and report results accurately. Academic dishonesty is any violation of the standards of academic honesty. Examples of academic dishonesty are defined below. These examples are intended to provide guidance but not to constitute an exhaustive list of the forms that academic dishonesty might take. Presentation or appropriation of another’s ideas, words, images, work, materials, results, etc. as one’s own, including but not limited to: omission or improper use of citations; copying another’s work without attribution. Inappropriate use of an Internet or digital source, including but not limited to: inappropriate copying in whole or part; submission of a paper or other work, or any part thereof, obtained via the Internet or a digital source, as one’s own work; inappropriate sampling of images or sound; the use of online solutions typically made available as instructor resources for a course. Unauthorized presentation or partial or complete resubmission of one’s own previous academic work for additional academic credit. Representing oneself as another person in relation to an academic assignment or course, or allowing another to represent oneself in relation to an academic assignment or course. For example, signing an attendance sheet in class or at an extracurricular event on behalf of an absent student, representing oneself as someone else in the context of an online course, or permitting another person to complete an assignment or take an examination on one’s behalf in the context of an online course. Presenting forged signatures or documents as authentic. Submitting false or fabricated citations. Possession, distribution, and/or use of materials or technology for the purpose of cheating or facilitating cheating. Coercing or attempting to coerce a classmate to facilitate cheating. Using resources and materials prohibited by the Instructor. Collaboration on coursework that violates an Instructor’s stated policies or instruction. Misrepresenting contributions to group projects. Unauthorized access to and/or use of privileged University documents, files, or information and/or alteration thereof by electronic or any other means. Unauthorized access to and/or use of proprietary information. For example, the unauthorized dissemination of research prior to publication. Unauthorized access to and/or use of University course resources and materials. For example, distributing any course materials (syllabus, assignments, exams, etc.) without explicit permission from the instructor. Acts of academic sabotage. For example, the purposeful theft, vandalism, or unauthorized access of library books, academic records, equipment, or materials, or the theft or destruction of other Students’ work. Any other means of violating the standards of academic honesty set out above, existing or yet to be invented. The burden shall be upon the Instructor to provide evidence that it is more probable than not that the Student has committed the alleged academic honesty violation. A Student has the right to appeal the Instructor’s decision concerning an allegation of academic dishonesty. Access to materials, files and records alleging and documenting a Student’s violation of the Academic Honesty Policy will only be authorized for disclosure to individuals necessary for the processing of the Academic Honesty Policy violation (such as the Student, Instructor, Chair, Dean, Provost, Academic Honesty Review Committee [AHRC]). A Student has the right to petition the AHRC to have records of his/her violation of the Policy expunged. The AHRC shall review the petition and make its recommendation to the Provost. Factors to be considered include: (1) severity of the violation; (2) time that has elapsed since the violation; (3) present demeanor and contrition of the Student; (4) demonstrated conduct since the violation; and (5) the severity of any damage, injury, or harm resulting from the violation. Decisions on such petitions are at the discretion of the Provost, whose decision is final. Instructors are expected to apply academic integrity standards consistently across all of their students in all of their classes and pursue all cases of academic dishonesty. Instructors may attempt to stop suspected cheating in progress when appropriate (for example, during and examination). Instructors must then follow the procedure outlined in this policy prior to imposition of any academic dishonesty sanction. For each incident of academic dishonesty, a record identifier that does not identify the student is generated that the Instructor may make reference to or include in retention, merit, rank, and promotion decisions (if applicable). Should an instructor require legal assistance during any proceedings related to the charge of academic dishonesty, having followed the procedures outlined in the Policy, LMU will provide the faculty member with the assistance of University counsel. In addition, it is recognized that faculty have the right to be idemnified for all necessary expenditures or losses incurred in direct consequence of the discharge of their duties under California Labor Code section 2802. Instructor-Imposed Sanction. Imposed at the sole discretion of the Instructor of record and may include (but is not limited to): a requirement to re-do the assignment; a reduced or failing grade on an assignment, or part of an assignment; a reduced or failing grade in the course. If the Instructor imposes a failing grade sanction in the course, a failing grade will appear on the transcript even in the case of subsequent withdrawal. Suspension from the University. The sanction of suspension requires recommendation by the AHRC and approval of the Provost. Dismissal from the University. The sanction of dismissal requires recommendation by the AHRC and approval of the Provost. Academic Honesty Violation Form: the official form on which the Instructor reports a violation of academic honesty. AHRC: the Academic Honesty Review Committee, the body that provides a ruling the Provost concerning appeals and other matters related to violations of the Academic Honesty Policy. Day: a regular University business day. It shall not include Saturdays, Sundays, or administrative holidays. Dismissal: the permanent separation of the Student from the University. Permanent notification may appear on the Student’s transcript. The Student will also not be permitted on campus or University premises. Any alteration, deferral or suspension of this sanction may be subject to conditions. Instructor: any LMU faculty member, librarian, or other individual authorized to evaluate students’ academic work. NR: Not Reported. NR will be used as a placeholder at the time of a final grade submission or recordation while an academic honesty violation appeal is in process. Policy: the Academic Honesty Policy. Provost: the Provost or the Provost’s designee for managing the day-to-day operations of the Academic Honesty Policy. Record/Student Record: the permanent documentation kept by the University concerning the student’s matriculation and performance. Files are all relevant physical or digital documentation of a case. Student: a person enrolled in any University program or class. Supervisor: the person to whom an Instructor reports directly in teaching-related matters. In most cases, the “Supervisor” is the Instructor’s Department Chair or Program Director; for most Department Chairs and Program Directors it is the Dean or Associate Dean. Suspension: the separation of the Student from the University for a stated period with an opportunity for reinstatement consideration. Permanent notification of suspension may appear on the Student’s transcript. While suspended, the Student is ineligible for and shall not participate in any University sponsored activities and may be prohibited from a presence on campus and University premises. Suspended time will not count against any time limits of graduate schools or programs for completion of a graduate degree. Any alteration, deferral or suspension of this sanction may be subject to conditions. Violation: a determined violation of the University’s Academic Honesty Policy. The terms “will” and “shall” are used in the imperative sense. The term “may” is used in the permissive sense. An Instructor who has reason to believe that a student has violated the Academic Honesty Policy will inform the Student of the suspected academic dishonesty in an email sent to the Student’s LMU email address (with a copy to the Instructor’s Supervisor) within five days of discovering evidence of the academic dishonesty. This message should include a statement of the nature of the suspected violation, the evidence supporting the suspected violation and a deadline of five days for the Student to respond by email. Because at this point in the process there is only a suspicion or allegation of a policy violation, no determination has been made and there should not be any mention of a prospective sanction in the message. The communication should also include a request to meet (or confer) with the Student within five days after the student’s response to the email. The Instructor’s meeting with the Student shall take place after receipt of the Student’s email reply and provides an opportunity for the Instructor and the Student to discuss the suspected academic honesty violation, the evidence, and the prospective sanction (e.g., a failing grade on an assignment or a failing grade in a course), and any concerns the Student may have. If the Instructor determines that no violation of the Academic Honesty Policy has occurred, no further action or steps will be taken. The Instructor will notify the Supervisor of the determination. If the Instructor determines that a violation of the Academic Honesty Policy has occurred, a sanction within the purview of the Instructor will be imposed. A completed Academic Honesty Violation Form (with supporting evidence) will be forwarded to the Provost (with a copy to the Instructor’s Supervisor and to the Student). If the Student does not respond to the initial email from the Instructor within five days, a determination shall be made by the Instructor and if a determination of an Academic Honesty Policy violation is made, a sanction within the purview of the Instructor will be imposed. A completed Academic Honesty Violation Form with the supporting evidence will be forwarded to the Provost (with a copy to the Instructor’s Supervisor and to the Student). The Student may submit an appeal of the Academic Honesty Policy violation determination and/or sanction within five days of the Instructor’s emailing of the Academic Honesty Violation Form. If no appeal is filed, then the Academic Honesty Policy violation determination becomes final. The Provost will file the paperwork, with a copy to the Student’s Dean’s Office, and apply the sanction determined by the Instructor. This terminates the process. If the Student files an appeal, then the grade on the relevant assignment, or in the course, will be converted to “NR” within five days of receipt of the appeal, and remain as such until the final resolution of the appeal process. In the case of a Student appeal, the Provost will submit the case to the AHRC for reconsideration and will notify the Student and Instructor thereof. When a determination becomes final, the Provost shall review the Student’s record to determine if there is a prior history or pattern of academic dishonesty. For cases in which the Provost determines that such a history or pattern exists and therefore the Student’s record and pattern of behavior warrants further review, the Provost will submit the Student’s record of proceedings under the Academic Honesty Policy to the Academic Honesty Review Committee (AHRC) for consideration of additional action and will so notify the Student thereof. If the AHRC determines that a violation merits a different result or sanction (in cases of appeal) or that the Student’s pattern of behavior warrants an additional sanction, up to and including the Student’s suspension or dismissal (in cases where the Provost requests further review), it shall communicate its decision to the Student and to the Provost within 15 days of the Provost’s request for consideration. In cases of a ruling for additional sanction based on a pattern of behavior, the Student has 10 days to respond to the AHRC ruling; the response shall be submitted directly to the Provost. The Provost shall make the final decision within 5 days after the window for the Student’s response to the AHRC ruling closes. Upon making the final decision, Provost shall add appropriate documentation to the Student’s record, with a copy to the Student’s Dean’s Office, and apply the sanction. The Provost’s decision is final and terminates the process. All deadlines apply during the semester - that is, from the first day of classes to five days after final grades are due. Attempts will be made to conclude pending cases in May before the end of the academic year. All unresolved cases will be considered and determined in the next regular semester. A Student charged with an Academic Honesty Policy violation prior to graduation may not receive a diploma/degree until any pertinent proceedings regarding that Student have been completed. A student who has been suspended cannot graduate unless and until he/she is reinstated. The Provost’s office will provide an annual report, without identifying Students, detailing the number and type of violations reported in different areas of the LMU community, as well as the number and type of AHRC rulings and Provost decisions, if applicable. The violation determination is not supported by substantial evidence. New relevant evidence is available. The sanction is substantially disproportionate to the offense. The procedures detailed in this document were not materially followed, resulting in significant disadvantage or prejudice to the Student. The Student must make his or her appeal in writing no later than five days following the Instructor’s emailing of the Academic Honesty Violation Form to the Student. All appeals must be submitted by email to the Provost (with a copy to the Instructor and the Instructor’s Supervisor). The Provost will inform the Instructor of the receipt of an appeal request within five days, and will submit the appeal request to the AHRC. At the request of the AHRC, the Instructor will be given the opportunity to provide additional evidence or argument should the Student present new arguments or evidence. The Student shall have a right to know of and respond to the AHRC respecting any new or additional evidence or argument provided by the Instructor to the AHRC. The AHRC shall determine whether or not the evidence supports the allegation, if so, whether the sanction is appropriate taking into account all available evidence related to the academic dishonesty as well as, during the sanctions deliberations, any evidence provided by the Provost regarding any prior offenses, and whether the correct procedures were followed. The AHRC will communicate its findings and ruling to the Provost. In cases of an AHRC ruling for suspension or dismissal, the Student has 10 days to respond to the AHRC ruling about the propriety of the sanction; the response shall be submitted directly to the Provost. The Provost shall make the final decision, in light of the recommendation of the AHRC and after consideration of any submission from the Student, and will communicate this decision to the Student and Instructor, with a copy to the Student’s Dean’s Office. The Provost’s decision is final and terminates the process. A digital copy of the Academic Honesty Violation Form, with supporting evidence, will remain on file in the Provost’s Office. Records will have a protected status, with access only as authorized by law and permitted by the Provost. The Family Educational Rights and Privacy Act of 1974, as amended (“FERPA”), is a Federal law which governs student privacy and confidentiality of student education records. Loyola Marymount University (“LMU”) recognizes, abides by and enforces the confidentiality of student records under FERPA. Student–any person who attends or has attended LMU. An employee record of an individual whose employment is not contingent on the fact that he or she is a student, provided the record is used only in relation to the individual’s employment. LMU Department of Public Safety records created and maintained by LMU’s Department of Public Safety for Department of Public Safety purposes. Counseling records which are created or maintained by a physician, psychiatrist, psychologist, or other recognized professional or paraprofessional, acting in his or her professional capacity or assisting in a paraprofessional capacity, used solely in connection with the provision of treatment to the student and not disclosed to anyone other than individuals providing such treatment, so long as the records can be personally reviewed by a physician or other appropriate professional of the student’s choice. “Treatment” in this context does not include remedial educational activities or activities which are part of the program of instruction at the institution. Health records maintained by the Student Health Center, if the records are used only for treatment of a student and made available only to those persons providing the treatment. Current students are notified annually of their rights under the Family Educational Rights and Privacy Act (FERPA) by publication in the University Bulletin and by posts on the LMU website. Students may inspect and review their official academic or other education records (with certain limited exceptions) within 45 days of the day LMU receives the student’s written request for access. A student should submit any such request in writing, identifying the record(s) the student wishes to inspect, to the appropriate LMU official or department. LMU will make arrangements for access and notify the student of the time and place where the records may be inspected. The financial statements of third parties. Letters and statements of recommendation for which the student has waived his or her right of access, or which were created before January 1, 1975. Records connected with an application to attend LMU, or any LMU program, after acceptance but prior to enrollment, or if that application was denied. The student has any unpaid financial obligations to LMU. There is an unresolved disciplinary action against the student. Copies of disciplinary records will only be made available when a student is unable to come to the office to inspect the record. A “school official” is any person employed by LMU in any administrative, supervisory, academic or research, or support staff position (including public safety and health services staff); any person or company with whom LMU has contracted to provide a service to or on behalf of LMU (such as attorneys, auditors, or collection agents); any person serving on LMU’s Board of Trustees; or any student serving on an official committee, such as a disciplinary or grievance committee, or assisting another school official in performing his or her tasks. A school official has a “legitimate educational interest” if the official needs to review an education record in order to fulfill the official’s professional responsibilities. To officials of another school, upon request, in which a student seeks or intends to enroll. A reasonable attempt will be made to notify the student prior to the release of such records. To certain officials of the U.S. Department of Education, the Controller General, Attorney General, and the state and local educational authorities, in connection with certain state or federally supported education programs. In connection with a student’s request for or receipt of financial aid, as necessary to determine the eligibility, amount or conditions of the financial aid, or to enforce the terms and conditions of the aid. Parents’ financial information, including statements submitted in connection with financial aid applications, is excluded from inspection. To parents of a dependent student, as defined in the Internal Revenue Code. The parents must provide a copy of their most recent federal income tax return establishing the student’s dependency. Full rights under the act shall be given to either parent, unless LMU has been provided with evidence that there is a court order, state statute or legally binding document relating to such matters as divorce, separation or custody that specifically revokes those rights. LMU does not have an obligation to disclose any financial information about one parent to another. If a parent claims a student as a dependent and does not want his/her financial information disclosed to his/her spouse or former spouse, the parent may make that request to the institution. To an alleged victim of a sexual assault of the final results of any institutional disciplinary proceeding against the alleged perpetrator of that crime with respect to that crime or offense. To courts for a legal proceeding brought by a parent or student against the university or by the University against a parent or student. To parents and legal guardians of students under age 21 if the student violated LMU policies, state or federal laws relating to the use or possession of alcohol or a controlled substance. - the student has committed a violation of the university’s rules with respect to the allegation. To state and local juvenile justice systems or their officials. Students have the right to ask to have records corrected that they believe are inaccurate, misleading, or in violation of their privacy rights. A student should submit any such request to LMU in writing, clearly identifying the records that the student believes are inaccurate and specifying the reasons the student believes them to be inaccurate. LMU will notify the student of its decision, and if the decision is negative, of the student’s right to a hearing regarding his or her request for amendment. Additional information regarding the hearing procedures will be provided at that time. (1) The right to inspect and review the student’s education records (with certain limited exceptions) within 45 days of the day LMU receives the student’s written request for access. A student should submit any such request in writing, identifying the record(s) the student wishes to inspect, to the appropriate LMU official or department. LMU will make arrangements for access and notify the student of the time and place where the records may be inspected. (2) The right to request the amendment of the student’s education records that the student believes to be inaccurate. A student should submit any such request to LMU in writing, clearly identifying the records that the student believes are inaccurate and specifying the reasons the student believes them to be inaccurate. LMU will notify the student of its decision, and if the decision is negative, of the student’s right to a hearing regarding his or her request for amendment. Additional information regarding the hearing procedures will be provided at that time. (3) The right to consent to disclosures of personally identifiable information contained in the student’s education records, except to the extent that FERPA authorizes disclosure without consent. One such exception permits disclosure to “school officials” with “legitimate educational interests” without a student’s consent. A “school official” is any person employed by LMU in any administrative, supervisory, academic or research, or support staff position (including public safety and health services staff); any person or company with whom LMU has contracted to provide a service to or on behalf of LMU (such as attorneys, auditors, or collection agents); any person serving on LMU’s Board of Trustees; or any student serving on an official committee, such as a disciplinary or grievance committee, or assisting another school official in performing his or her tasks. A school official has a “legitimate educational interest” if the official needs to review an education record in order to fulfill the official’s professional responsibilities. Upon request, LMU also discloses education records without consent to officials of another school in which a student seeks or intends to enroll or where the student is already enrolled so long as the disclosure is for purposes related to the student’s enrollment or transfer. Information on other exceptions to FERPA’s requirements is available through the Office of the Registrar. (4) The right to file a complaint with the U.S. Department of Education concerning LMU’s compliance with the requirements of FERPA. The name and address of the Office that administers FERPA is: Family Policy Compliance Office, U.S. Department of Education, 400 Maryland Avenue, SW, Washington, DC 20202. The days of registration are listed in the University Calendar. All students must follow the registration procedures as established by the Office of the Registrar. A student is not considered registered until official clearance has been obtained from the Controller’s Office and successful registration has been processed in and posted to PROWL. The student’s official academic program consists of the courses in which the student is enrolled at the close of official registration. Students register for classes via PROWL during the times assigned by the Office of the Registrar. Through the first week of each term, students may register or change their registration schedule by adding and dropping classes without a grade of “W” in accordance with the procedures established by the Office of the Registrar. Registration for a term or registration changes are not accepted after the last day of the registration period. Students may withdraw from a course (and receive a grade of ‘W’) until the date published in the Academic Calendar. Students who do not complete a course and/or do not withdraw from a class in accordance with the required procedures will receive an appropriate grade in the class as assigned by the instructor. LMU does not allow a student who is not registered for a course to attend the class. Registration must be completed in accordance with the regulations, procedures, and dates in the University Bulletin. Sitting in a class or obtaining an instructor’s signature on a petition form does not constitute enrollment. The University does not remove courses for those students who stop attending a course. It is the sole responsibility of the student to ensure that his/her class schedule is correct, including dropping or withdrawing from any courses prior to the respective deadlines in the semester. Failure to withdraw officially from a course will result in a grade of “F” or other as assigned by the instructor. Courses may have registration restrictions, and students wishing to register for these courses must have met the criteria of the restriction. Restrictions and other registration considerations are enforced in PROWL and are identifiable in the Schedule of Classes. Students who have not earned 60 units, including transfer credit, may not enroll in upper division courses without the approval of the instructor and the chair of the department of the course. This restriction does not apply to upper division foreign language courses for which a student has demonstrated sufficient proficiency. Any holds on the student’s record for academic, financial, student conduct, or other reasons may inhibit eligibility for registration. A student is not considered registered until official clearance has been obtained from Student Accounts and successful registration through PROWL has been processed by the Office of the Registrar. Certain courses such as special studies and performance courses are repeatable for credit. Please consult the University Bulletin and your advisor in order to confirm that a given course may be repeatable for credit. Students may repeat a non-repeatable LMU course once, including withdrawals, in order to improve academic performance in that course. The prior occurrence is excluded from the cumulative grade point average and earned hours but remains on the transcript. The grade of the latest occurrence of the repeated course will be the one calculated into the GPA and earned hours. The third and final time a course is taken requires approval from the Dean. A repeat course must be taken on the same grade basis as the original occurrence. A course taken for a grade may only be excluded by the same course with a grade. Similarly, a course taken on a CR/NC basis may only be excluded by the same course taken on a CR/NC basis. Undergraduate students are limited to enrolling in a maximum of 17 semester hours up until the third week prior to the first week of classes. Beginning the third week prior to classes and running through the first week of the term, undergraduate students are eligible to enroll in 18 or more semester hours with the approval of their Dean’s Office. A General Petition to adjust hours signed by the Associate Dean’s office and submitted to the Office of the Registrar. The maximum load for graduate students during a Fall or Spring semester is 15 semester hours. Transcripts show all Loyola Marymount University work completed as of the date of the transcript request. Work in progress is noted on the transcript. Requests for transcripts to show end of current semester’s work are held until all grades are recorded. Transcript requests are processed in accordance with the date of filing. Transcripts will not be issued when a student has outstanding financial obligations to the University. In this case, the student will be notified by the Controller’s Office. Official transcripts of courses taken at the University are issued only with the permission of the student concerned. Unofficial or partial transcripts are not issued. Transcripts from other institutions, which have been presented for admission or evaluation, become a part of the student’s permanent academic file and are not returned to the student. Students desiring transcripts covering work attempted elsewhere should request them from the appropriate institutions. 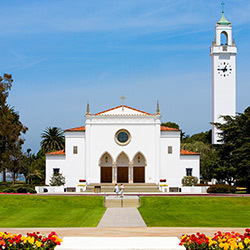 Credit for work completed at institutions accredited by one of the six regional associations of the Accrediting Commission for Senior Colleges and Universities may generally be accepted toward the satisfaction of degree and credential requirements at Loyola Marymount University. Course work completed at non-U.S. institutions must be documented on an official academic record from an international institution recognized by the Ministry or Department of Education of that country. A foreign credentials evaluation may be required. International transcripts submitted without appropriate evaluations may not be considered for eligible transfer work to LMU. The articulation services at LMU help undergraduate students to identify courses completed at other academic institutions that are transferable to LMU degree programs. Courses taken at other academic institutions may fulfill University core requirements, Program (academic major/minor) requirements or transfer in as electives. 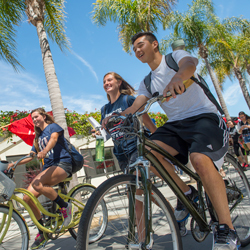 LMU has established articulation agreements with its major feeder community colleges. Graduate students should consult their Dean’s Office in their College or School. Only LMU semester hour value is granted to transfer courses. LMU does not list grades from transfer courses nor does it use those grades in calculation of the LMU GPA. Any undergraduate student regularly enrolled as a degree candidate who elects to take courses at a college or university other than Loyola Marymount University must obtain a Transfer Course Approval form signed by the Associate Dean of the student’s College or School prior to enrollment in such courses and submit it to the Office of the Registrar. Courses taken without this approval may not be counted toward the degree. Entering transfer students generally receive credit after admission to LMU for courses from other colleges and universities. At the time of admission to a program, and if approved by his/her Department, Program Director, and/or Dean of the student’s college or school, a student may transfer a maximum of two applicable courses of approved graduate credit, six (6) semester units total, from an accredited institution for work completed no more than five years ago. Students must apply for educational benefits through the Department of Veterans Affairs. Qualified students will receive from the VA a Certificate of Eligibility indicating the educational benefits to which they are entitled. Once committed to LMU and registered in classes, students must submit their Certificate of Eligibility to the Office of the Registrar for enrollment certification processing. Enrollment certification will be performed prior to each semester of enrollment until the University is notified that benefits have been exhausted or the student is no longer enrolled at LMU. The Office of the Registrar acts as liaison between the student and the Veterans Administration. Any student eligible to receive educational benefits under one of the various Veterans Administration programs must, at the beginning of each term for which he or she is registered, complete and/or submit the appropriate application for certification of educational benefits. Information or consultation regarding Veterans educational benefits is available at any time during regular office hours. For more information regarding how to apply for Veterans’ educational benefits, visit http://academics.lmu.edu/registrar/services/veteranbenefits/. LMU participates in the Yellow Ribbon Program; which is a Post-9/11 GI Bill enhancement program for students who qualify for 100% of the Post-9/11 GI Bill. This program allows institutions of higher learning in the United States to voluntarily enter into an agreement with the VA to fund tuition expenses that may exceed the higher of the actual tuition and fees for a private school. The number of student sponsored for Yellow Ribbon Program benefits is limited. For additional information on this and other Chapter financial considerations, please see the Financial Aid website. Federal Law requires that educational assistance benefits to Veterans and other eligible persons be discontinued when the student ceases to make satisfactory progress toward their degree objective. Individuals who qualify, and wish to receive veterans’ educational benefits, must meet the published academic standards and requirements of the University in order to be certified for Veterans educational benefits.